It has been the year of the whooper swan here at Loch of Strathbeg with our record count of 1599 in October. If you have visited Strathbeg over the last few weeks you’ll have noticed the leaves turn from a golden hue and fall from the trees, and the thousands of pink-footed geese and whooper swans make their arrival. As the bright colours of summer fade away there are certain things you can do in your garden to ensure you are giving nature a home as winter draws in. When most people think of moths they think of drab, brown wee things that live in clouds of dust and eat holes in your carpet. This couldn’t be further from the truth, and I’m here to change your mind in one short blog post! A big project we have been working on recently is the re installation of the tern platform at Loch Spynie, near Elgin. This proved to be a good challenge for the team - battling bad weather, problem solving and deadlines along the way. It is definitely feeling a lot more like spring at the reserve. Common terns are starting to come back now and can be seen swooping around the island, sedge warblers are singing and small tortoiseshell and green-veined white butterflies are on the wing. Hello everyone! Having started 2 months ago, I thought it was about time I introduced myself! I’m Sally, one of the reserve Interns, and I’ll be living and working here at the Loch of Strathbeg right through until the end of the year. Having started life at Strathbeg as a local volunteer last autumn I’m excited to see what more the reserve has to offer throughout the spring and summer months! 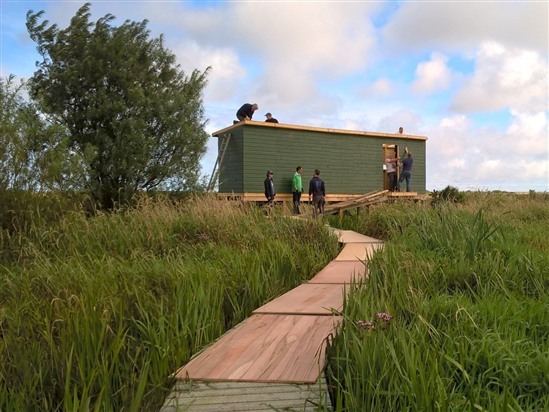 Hi Kim here – one of this year’s interns at Loch of Strathbeg! I just thought I’d write a blog in order to introduce myself and let you all know what we’ve been up to so far this year. Two weeks ago I had the privilege of attended the official opening of the Dunbar hide at Loch of Strathbeg. If you’ve not been yet, I would encourage you to pop along as it’s already provided great views of otters and a wintering bittern. It has been estimated that the plantation at Loch of Strathbeg has around 3000 lodgepole pines, a species planted for timber production. It is also a non-native species, which is why this stretch of woodland is gradually being removed. Our plan is to plant a new area of mixed woodland to compensate and create a space for all to enjoy. Following on from our Facebook post about the Loch of Strathbeg year list, I thought I’d update on where we are so far into January with the count. Our latest clutch of interns have fledged from Strathbeg this week. James Butcher and Sarah Bedford have been with us since April 2017, starting off as residential volunteers then staying on and becoming interns for the rest of the year. 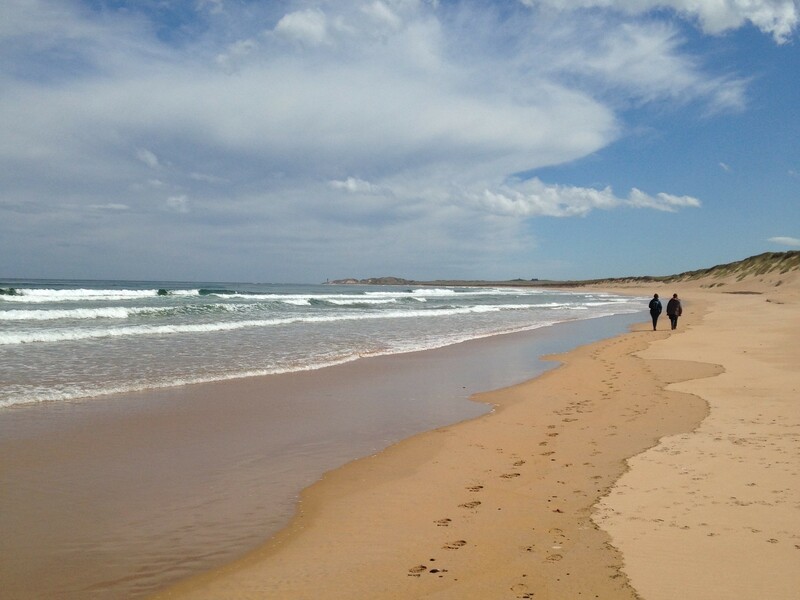 There was no such thing as a lazy Sunday at Loch of Strathbeg this weekend. The team were out bright and early to carry out our monthly Wetland Bird Survey (WeBS). The wintering ducks are starting to arrive on the reserve with 1300 wigeon, 123 goldeneye, 77 teal, 30 tufted duck and 14 pintail counted. There has also been good numbers of whooper swans with counts of around 850. 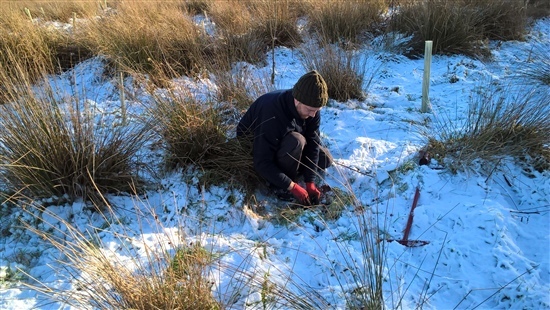 On a recent sunny Saturday, a keen group of volunteers from Aberdeen University Conservation Society dragged themselves out of bed to spend the day helping out as a volunteer work party at RSPB Loch of Strathbeg. 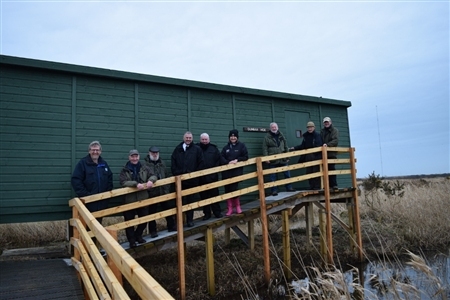 The new Dunbar Hide: truly a team effort! The northern tip of the Loch of Strathbeg reserve is one of its least-visited corners – yet in the few months I have been here, it’s quickly grown to be one of my favourites. 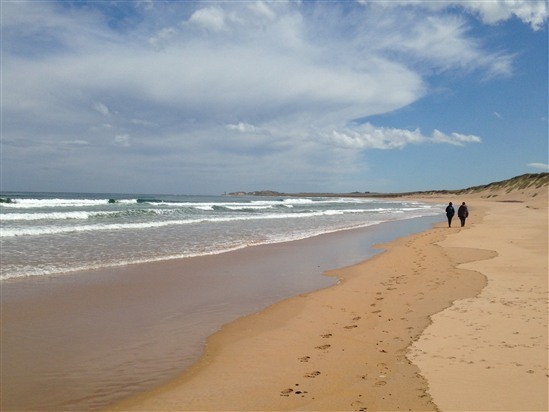 From the village of St Combs, five miles of sand beach and towering dunes sweep south past the estuary to the lighthouse at Rattray Head. 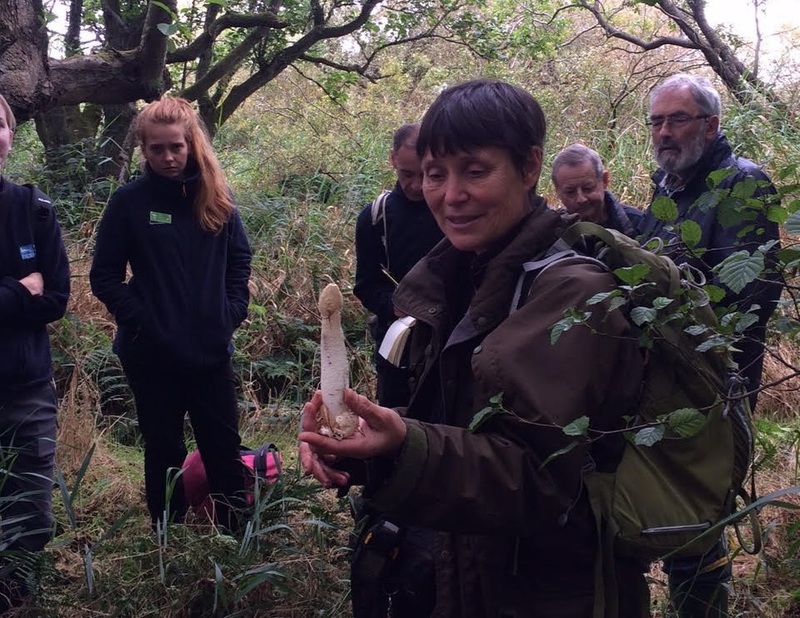 As autumn began, RSPB Loch of Strathbeg was delighted to host a fungi identification course in partnership with NESBREC (North East Scotland Biological Records Centre). Twenty keen fungi hunters joined forces on the day, led by the enormously knowledgeable Liz Holden. 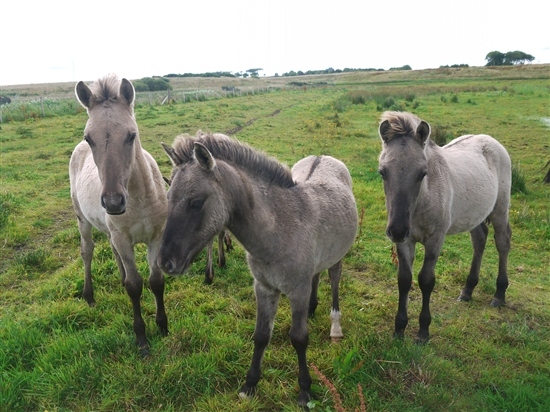 What’s the collective noun for a group of Konik ponies? I am not sure, but this spring/summer has certainly seen a veritable haul of ponies welcomed onto the reserve. Our herd number has bloomed from 32 to 39, with seven healthy foals born between March and July. 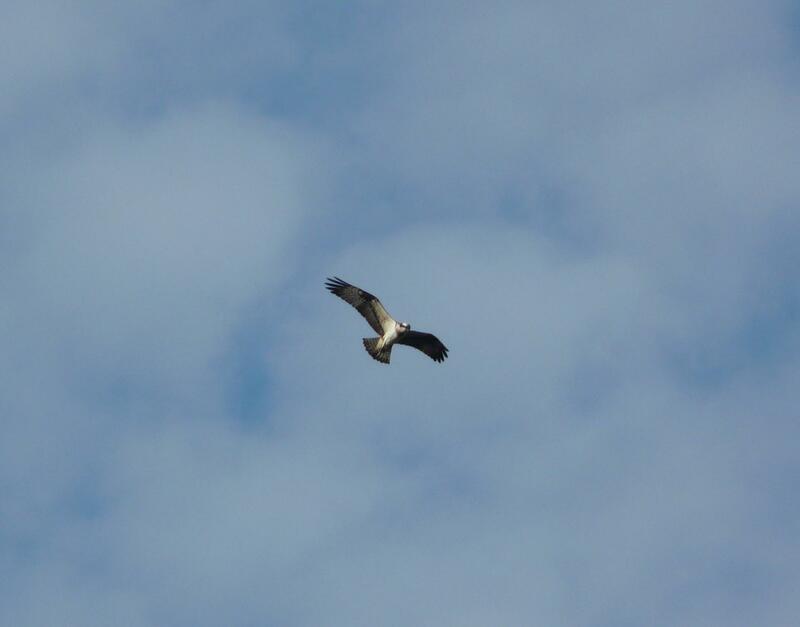 Opsreys are an almost daily sight here at Loch of Strathbeg over the summer, often to be found fishing over the loch. So far, none had thoroughly investigated the artificial nest and platform which were constructed for them last year – so far that is, until now! We have been very lucky recently with some very exciting species of bird being seen on the reserve an on our tern island we have a large number of Common Tern and some Black-Headed Gulls beginning to nest. Below is a list of some of the species we have seen on the reserve over the last few weeks. Recently on the reserve we were joined by 23 eager volunteers from BP. 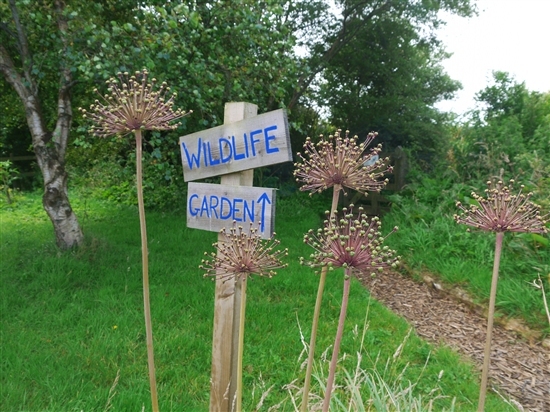 They joined us for a day to help with various projects around the visitor centre and in the wildlife garden. Once split into four different groups each was given a task to complete and assigned an RSPB member of staff or volunteer to lead them. 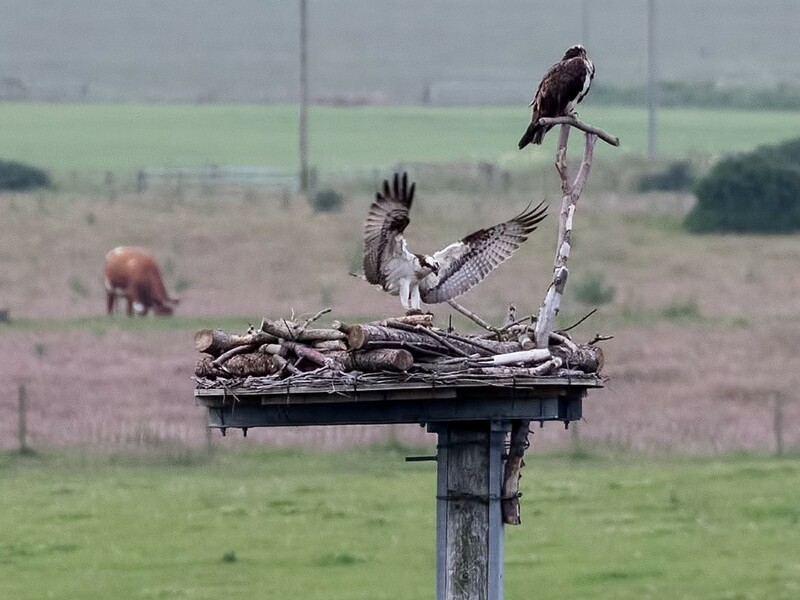 Recently we have had some exciting species visit RSPB Loch of Strathbeg. Below is a list of what has been spotted across the reserve over the last few weeks. Mid April the reserves first osprey of the year was spotted from the visitor centre fishing in the loch, let’s hope they take notice of our newly built osprey nest.